H.E. 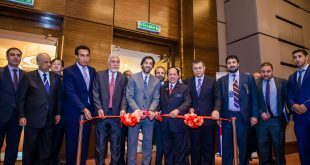 Atiqullah Atifmal, The Ambassador and as head of Delegations of The Islamic Republic of Afghanistan, participated in the 2nd Asia Cooperation Dialogue (ACD) Summit hosted by the Kingdom of Thailand between 8-10 October in Bangkok. Asia Cooperation Dialogue (ACD) is a continent-wide Summit where 34 Asian Member States exchange views on issues of common interest and address common challenges in the region. On October 08, a working dinner was hosted by Don. Pramudwinai, the Minister of Foreign Affairs of Kingdom of Thailand, for the ACD Foreign Ministers and Representatives. 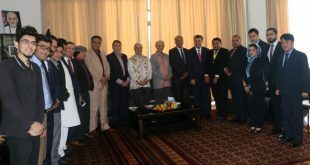 During the gathering the agenda of the summit was reviewed and finalized by the ACD member states Ministers of Foreign Affairs and Representatives. The Foreign Ministers of Turkey and India addressed fighting terrorism as a common challenge in the region which was followed by the emphasizing of H.E. 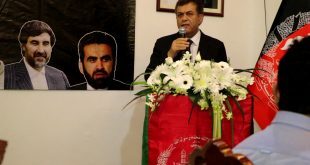 Atifmal who stated that there is no good and bad terrorism and that the ACD member states should cooperate in fighting with it through identifying the sources of funding and their training camps. ACD vision for Asia Cooperation. ACD Statement on Reigniting Growth through Partnerships for Connectivity. On October 09, the ACD Connect Business Forum 2016 was commenced by opening remarks of H.E. Prayut Chan-o-cha, the Prime Minister of the Kingdom of Thailand. Mr. Chan-o-cha encouraged Asian business leaders to invest during the current global economic slowdown as he sees the private sector as a key catalyst for regional and global economic growth. He also called for unity in regulations and standards across the region while asking developed countries in Asia to leave no one behind. The 2nd Asia Cooperation Dialogue Summit was commenced by the opening statement of Prime Minister Chan-o-cha as the host under the theme “One Asia, Diverse Strengths: Enhanced Partnership towards New Dynamism” followed by the statements of Heads of Delegation of ACD Member States. H.E. Atiqullah Atifmal addressed the summit and requested the close cooperation of the member states to work together in facing the common challenges i.e. fighting terrorism and strengthening the trade and private sector in member states of ACD. At the end of the summit, H.E. Atifmal met the Prime Minister and Minister of Foreign Affairs of Kingdom of Thailand and conveyed greetings of Excellencies President Mohammad Ashraf Ghani, CEO Dr. Abdullah Abdullah and Minister of Foreign Affairs Salahuddin Rabbani of The Islamic Republic of Afghanistan. 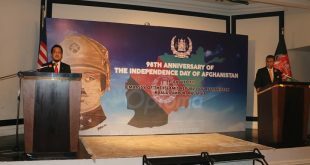 Mr. Atifmal discussed the strengthening of the bilateral economic and trade relations between Afghanistan and Thailand and specially the facilitating of visa for Afghans.